Host-guest interaction is inevitable occurrence. When tourists visit a country, they take their own culture with them. Sometimes, things which are appropriate in one culture are considered as inappropriate and unsuitable in other culture. Tourists travelling to conservative societies usually don’t wear complete clothes. However, not covering your whole body, especially for women is considered a bad thing in these societies. In some cases, this had led to the tension with local tourists. Using this hypothesis, this paper will discuss the potential outcomes of host-guest interaction. In our case, tourist-host interaction is intercultural because both belong to different cultures. Usually this contact is for a limited time. However, it can some time lead to cultural clash. For example, if foreigners, especially women, are wearing shorts, bikini, or skirts in conservative society like Indonesia or the Caribbean then natives will surely dislike it. The difference between both cultures is the reason behind this clash. If tourists go against native culture then hosts will dislike it. They might point out or keep quiet but surely they’ll have a negative image of the tourists. In conservative societies, wearing short clothes or drinking alcohol openly is considered as immoral and unethical. If tourist are presenting such behavior than hosts can have serious objections. Moreover, this can also lead to the internal clashes in communities because few locals can use adopt this behavior which is against their religion and culture. As discussed earlier, tourism involves movement of different people to different regions where they take their own cultures. Tourists usually behave irresponsibly because they go on vacations for joy and fun. In meanwhile, they ignore to respect the local culture. It leads to discomfort of hosts. Attitudes of hosts tend to change towards guests. Hosts think that tourists aren’t respecting their culture and traditions. This can lead to serious cultural clashes. In some cases, we have witnessed that tourists were attacked by hosts because they weren’t respecting local traditions. Although it is possible that tourists do such things because they are unaware but it will change the perception of hosts about tourists. Moreover, hosts tend to copy the culture of tourists. In conservative societies, this may lead to serious internal conflicts. It is observed that usually tourists, because of carelessness or irresponsibility, don’t respect local customs, traditions, culture, and religion. It can result in irritation and stereotyping. Tourist will stay there for a brief period, take a snap and leave but hosts who observe this will not have a good impact. They will think negatively regarding the tourist which will promote stereotyping. In short, the welcoming behavior of hosts can turn to rude or irritated behavior because of these issues. In such situation, social contact between tourists and hosts can become threatening. It is possible that negative feelings between tourists and hosts increase with frequent interactions. It is also possible that future contact between tourist and host can also be lost (Maruyama, 1990). Moreover, it is also possible that real sense of tourism might be lost. Communication problem is also an outcome of this situation. Differences in languages, gestures, space and status are communication problems. In such scenarios, where there is a lot of communication barriers, disappointment and discouragement is a result of host-tourist relationship. Moreover, tourist might get isolated and separated from host communities. In short, positive attitudes not possible due to superficial nature of tourist-host contact. Distorted and superficial perceptions are also a result of such situations (Turner & Reisinger, 1955). Irritation, frustration and resentment can also be the outcome. As explained earlier, these all are directly linked with the hypothesis presented. 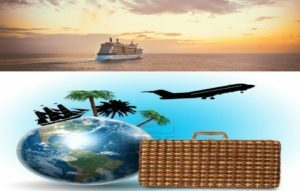 Tourism is travelling of people to different places, and establishment of social relations between people who usually can’t meet, cultural clashes and conflicts can take place as a result of differences in ethnic, cultures, and religious groups, values and lifestyles, languages, traditions, and levels of prosperity. In conservative societies, foreign tourist not respecting local traditions can create clashes among host and tourist. Distorted and superficial perceptions are possible outcomes of this situation. Moreover, it is possible that hosts get offended by the behavior of tourists. Irritation and anti-tourist attitude can also be an outcome. Tourist might get isolated and separated from host communities. Last but not the least, hosts may not keep any future contact with tourists. Maruyama, K. a. (1990). Handbook of Multicultural Perspectives on Stress and Coping. Turner, L., & Reisinger, Y. (1955). Cross-Cultural Behaviour in Tourism.